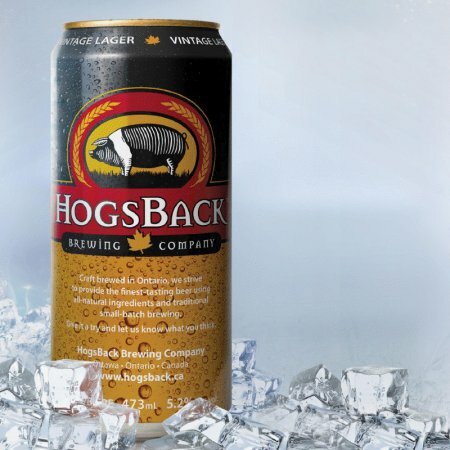 OTTAWA, ON – Eight and a half years after launching with its flagship Vintage Lager, HogsBack Brewing has announced that it is shutting down. Founded by partners Paige Cutland, Jerry Demetriadis, Frank Costello, and Mark Richardson, HogsBack has operated as a contract brewer, with its beer produced at a number of Ontario breweries over the years. As noted in the closure announcement, the company passed many milestones during its run, including multiple Ontario Brewing Awards and a gold medal at the 2017 Canadian Brewing Awards. HogsBack was also one of the first Ontario craft breweries to package its beer in cans, and the partners were proud to make an investment pitch on CBC’s Dragon’s Den in 2014.